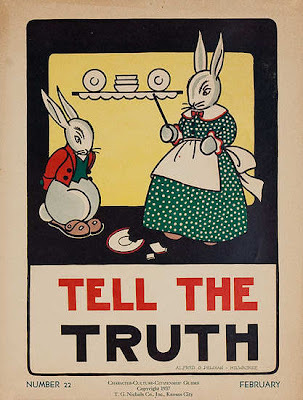 There's a Peter Rabbit feel to this poster, but the thick black frame and rabbit eyebrows make it feel a little sinister to me. The stick in her hand doesn't do anything to help create a warm, fuzzy feeling either. Oh my. I didn't even notice that. The hands behind the back take on a whole new meaning now.